Report: SEC assistant thinks Butch Jones would be fired if not for AD search. Maybe the Championship of life saved him. I was watching the sec now and the discussion on tennessee after their pro day and it's amazing how much production is being lost. 95% of passsing yards, 72% of rushing yards, and 78% of sacks. Definitely losing a lot, I'm expecting 7-8 wins this year. i haven't seen your schedule yet.. what games do you think are wins and losses? This is what I'm thinking right now. The UGA, USCe, Kentucky, and LSU games I'm not sure on. I put USCe and Kentucky as Wins right now but I wouldn't be shocked to see them lose either of those. Tech scares me as well. i forgot you guys play georgia tech for your first game.. that's going to be very interesting. yeah right now it's hard to know regarding UGA and LSU. no idea how good or bad they will be. i could see you guys splitting those games and maybe getting to 9 wins.. just depends on how good the replacements will be. you guys have a lot of talent. Talent is there and I think we have the best coaching staff as a whole we have had since Butch got here. But the Butch factor may drive it all into mediocrity. I've got 6-6 for Tennessee. I believe they've lost too much talent and Butch doesn't help matters any. Can't believe Dobbs is getting talked about as a possible 2nd round guy. He wasn't just awful, but I don't see him as a 2nd rounder. Now Kamara on the other hand is the real deal. If the top 3 weren't there, he would go in the late first. Not many people are saying it, but a few have said he could go in the 2nd. The QB class isn't just abysmal, but it isn't great. Great QB classes don't come around all that often. I just can't see him as a second rounder.. nowhere near it..
Yeah I saw that too and couldn't believe it. I mean this QB class isn't great but Dobbs was pretty horrendous at times. I think Dobbs is going to go higher then some people think, probably not the 2nd round though. His development since the season ended has been impressive. Just goes to show you the crap staff we had working with him at UT (we had no QB coach). i think you guys will be better because i like the staff a bit more.. i like the new oc (better than the old one) and Brady H is a great great coach (despite him being a terrible human being). I think that will help you guys at least coaching wise show some improvement. now butch still imo is a poor gameday coach and he will need to show some improvement for tennessee to be able to continue to improve. playing georgia tech game 1 is a big advantage for the vols. you have all offseason to prepare and the one thing that has been proven is teams that have more than 1 week to prepare for a cpj offense usually does a great job slowing or even shutting it down. i actually think the vols will beat georgia tech and lsu. I really think lsu is going to be mediocre even with that talent. We agree for once!! I don't think Coach O is going to get the job done at LSU. They may be okay this year, but after a while I think LSU will become a consistent 6-6/7-5 team. I think 3rd or 4th for Dobbs. 2nd has seemed really high, but I've seen it at least 2/3 places. I remember when he came in against Alabama in 2014. I was impressed. But he didn't ever get much better. Unfortunately for UT, I see another 8-4 type season which makes it hard to fire Butch. Tennessee WR charged with domestic assault, reportedly fought his roommate. Can't believe this is even news. Charges should be tossed out soon. I don't mean to bash Tennessee, but my friend is very well connected with a former and a current member of Tennessee's coaching staff and this is what they're saying.... Last year was their year and between mistakes and injuries, they blew it. They are not nearly as talented this year and confidence is down. If UGA won that game last year and Chubb went pro, I would put the Tennessee game as a toss-up... BUT with all of the bad blood from last year and Chubb returning to form and coming back to Neyland, I can't see us losing that game. 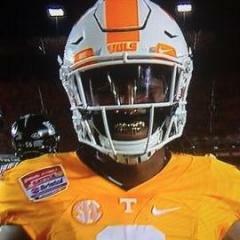 I CAN see Tennessee beating Georgia Tech and LSU. 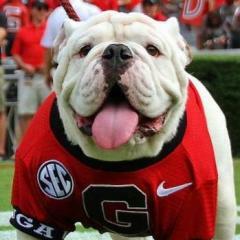 The UGA game is always weird every year. It seems like it doesn't matter who the coach or players are, it's always a wild one regardless. Playing at Neyland scares the crap out of me every time. We have laid so many eggs on that field and not always because UT had the truly better team. Sometimes it was like the Dawgs didn't even bother to show up! It is almost always a wild game though. That loss last year in Sanford was stunning, so I expect a full team effort to get a W and redemption for some beloved seniors. Hopefully its good enough for a W!